Artificial Intelligence (AI) poses a threat to eliminate a variety of jobs today through automation. To define, AI makes it possible for machines to learn human-like tasks through experience. Computers can now handle many tasks and process large amounts of information and patterns in data. This is a serious concern to society and how we run business and livelihoods. If computers replace employees, what would that look like? Research shows that we could have a mass unemployment on our hands. The top positions that could disappear are real estate brokers, sports referees, and insurance claims adjusters because AI would be able to handle these roles well and it would be cheaper. People would act out in fear if this happened. Lawyers, managers, writers, and other white-collar workers would perhaps rebel out of frustration, fear, and lack of work. However, as time passes, these qualities are becoming more and more a part of the AI capabilities. Two decades ago, this was unfathomable but it’s clearly possible today. 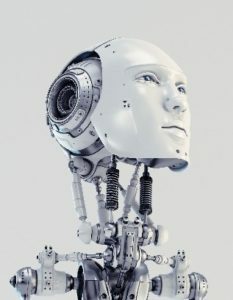 Those that work on the continued development of AI have even begun to show signs of concern for the future and what the capabilities look like. A revolution of white-collar workers could be a potential result to AI taking their jobs in the future. White-collar workers have a sphere of influential people. They are organized. They understand the larger problem and can gain sympathy from others who could potentially lose their jobs too. The underlying problem of a potential revolt would be a politico-economic system that does not separate wealth and state and focuses on wealth above all else. AI is something to pay attention to since it is a threat and one that only continues to grow. The job market as we know it today is changing and will look quite different as the years go by. What should we do as a society to improve this situation?